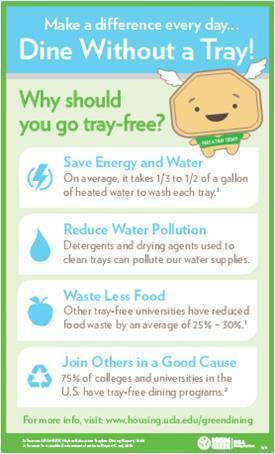 Everyone is encouraged to dine tray-free at every meal! Over 50 universities now have a trayless dining program in place. Many of these programs report a reduction in food waste generated as well as reductions in energy and water consumption. Waste, water and energy audits were performed during the Hedrick pilot in Winter 2009 – 6,300 gallons of water was saved in one month alone! Everyone is highly encouraged to dine tray-free at every meal. 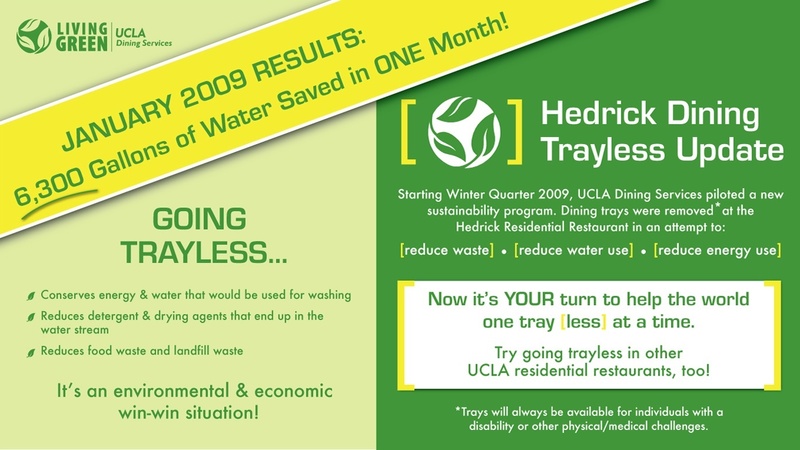 In addition to saving energy, water, and soap from washing fewer trays, people who dine without a tray are much more likely to waste less food.